Warehouses are fast-paced, dynamic environments where employees are often spread over large areas. Good communications are therefore crucial in ensuring both the efficiency of the operation and safety of the workers. SFL Mobile Radio have extensive experience in supplying two-way radio solutions to the warehousing industry providing business-critical applications designed to streamline production. SFL Mobile Radio is pleased to provide global contract manufacturer PharmaPac UK Ltd with two-way radios for their premises in Bidston. 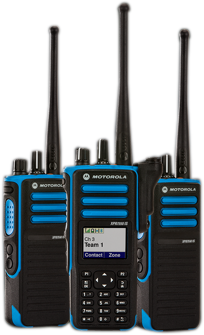 The company, who deal mainly in pharmaceutical and E-cigarette products bought 20 Motorola DP4400E radios from SFL opting to upgrade to the man down safety feature. SFL Mobile Radio is pleased to be working with DHL Supply Chain, supplying hand-held two-way mobile radios and accessories to its warehouse in Edge Lane, Liverpool. When DHL approached SFL to look at its existing communications flow, we conducted a site survey of the warehouse to see what system would work best, how it would function, how many radios and what range was needed. SFL supply and maintain digital two-way mobile radio communications for the Heinz storage site in Wigan, Lancashire which is operated by Wincanton at a vast National Distribution Centre covering 38 acres. 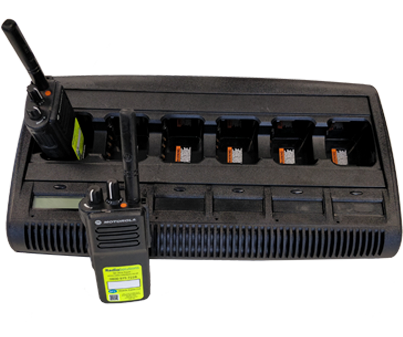 SFL Mobile Radio’s multi-purpose two way radio systems also have the ability to allow for hands-free operations by utilising industry-leading applications to ensure teams can communicate clearly and reliably, from the control office to factory floor and to the loading dock. SFL appreciates the need of the warehousing and logistics industry to have constant requirements updated, which is why we offer guaranteed next day delivery. We will remove all of the headaches surrounding Ofcom licensing for you and provide the most durable, high performing radio system that will get the job done – without compromise. Which is why our clients return to us time after time! We understand from the time the two way radio equipment is deployed, the site will evolve and radio coverage on larger projects will often need to also evolve. This is why, at the planning stage, we will thoroughly discuss your project and present future recommendations if deemed necessary to increase site coverage.